Since 2003, RestorationMaster has been providing reliable disaster restoration and cleaning services to homes and businesses in Fresno, CA as well as the surrounding areas in the counties of Fresno, Merced, Stanislaus, and San Luis Obispo. Our Fresno, CA office is one of our three physical locations in addition to offices in Merced and Paso Robles, CA, and our technicians are ready to respond from each location to handle emergencies throughout our service area. The main services that RestorationMaster provides include fire damage restoration, water damage restoration, mold removal, content cleaning and pack-out, and reconstruction services. We use only the most advanced cleaning products and equipment of the industry and we also work with local insurance companies to help you file any related claims. Our phone lines are open 24 hours a day at 888-915-8868 to respond with emergency disaster restoration services in Fresno, CA. 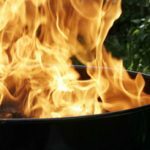 A fire can start in an instant and cause an extensive amount of damage that requires immediate attention to prevent the damage from becoming permanent. 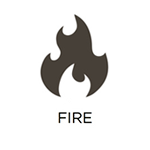 The flames char the surfaces they touch and cause chemical reactions in synthetic materials that result in corrosive byproducts that can spread the damage further, even after the fire is put out. RestorationMaster provides fire damage restoration services to help homes and businesses in Fresno, CA recover after a fire. We can clean up and restore the damage from soot and corrosive byproducts before it becomes permanent and we can also rebuild homes and buildings that have sustained significant damage. 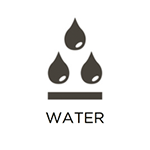 Excess water or moisture is a common problem in many homes because there are several potential sources such as rain, floods, overflows, leaks, and burst pipes. Regardless of the scope of the damage, it is important to react quickly to water damage because it can penetrate the walls and floors of your home and increase the risk of mold growth and serious structural damage. 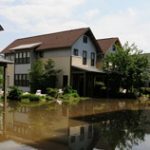 RestorationMaster provides water damage restoration services for homes and businesses in Fresno, CA to remove excess water and cleanup the damage. We use commercial grade humidifiers to thoroughly dry out structural elements and furnishings and we will also take steps to prevent mold or mildew growth. Mold growth can happen in a home or building at just about any time because the spores are a naturally occurring element of the environment and they only need a moisture source and food source to start growing. 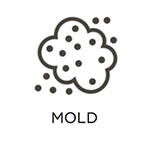 Mold is more than just a threat to cause property damage and discoloration of the affected surfaces, it can also lead to negative health reactions including allergies or respiratory infection. RestorationMaster provides mold removal services in Fresno, CA to remove mold growth from homes and businesses and clean up the resulting damage. Mold growth should always be removed by trained professionals because mishandling mold will cause it to disperse its spores and spread further throughout your home. Most natural disasters such as fires, storms, and floods cause pervasive damage in a home that almost always affects your personal belongings as well as your home and furnishings. Experiencing extensive damage to your personal items can be very frustrating and damage from mold, fire, or water can become permanent if your content is not cleaned and restored quickly enough. RestorationMaster provides content cleaning and pack-out services in Fresno, CA to restore all types of personal content that have sustained damage. The content cleaning can be done in your home but if your home is left in a dangerous condition, we will pack-out your items and take them to our facility for cleaning and storage. Sometimes natural disasters can cause extensive structural damage to a home or building to the point that it is unstable or uninhabitable. In cases involving a major storm, flood, or fire, homeowners generally have to call a restoration professional to clean up the mess as well as a professional that can rebuild their home. RestorationMaster provides complete reconstruction services along with our restoration services to rebuild homes and businesses in Fresno, CA that have experienced severe damage. 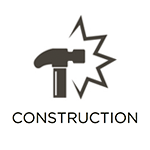 We employ a full team of carpenters, tradespeople, and project managers that can handle every step of the reconstruction process. No one wants to deal with any damage to their home or business, especially if the damage is threatening the integrity of the building. Major disasters including floods, fires, storms, and accidents can affect the very core of your home or building and leave it in a dangerous and unstable condition. Homes and buildings with this type of damage must be secured quickly to prevent the damage from getting worse. RestorationMaster provides emergency board-up services in Fresno, CA to stabilize heavily damaged homes and buildings. Our board up services will protect the structure of the building and keep out other potential sources of damage including the weather and vandals.